There’s a misconception among many young founders that once you have employees to run your business, you’ll suddenly have more time for yourself. I’ve found the opposite is true: the more people you have, the more you’ll work. Tim Schumacher is a German investor and entrepreneur, with a focus on ad tech, marketing, and consumer products. For over ten years, he was the CEO of publicly traded Sedo.com, which he co-founded. Since 2012, he has founded and/or invested in multiple start-ups like Aklamio, Hitfox, PiwikPro,SaaS.group (the company behind popular social media aggregator Juicer.ioand DeployBot.com) and Ecosia. He also co-founded Eyeo (makers of the world’s most popular ad blocker Adblock Plus), where he acts as Chairman. Ialways had the inclination to be an entrepreneur. As a young kid I was the first on my block to start up the quintessential lemonade booth and later began to write and sell software after I got my first computer at the age of 13 (an Apple-II, then subsequently an Amiga, and then a PC). I started my first real company, the domain marketplace Sedo.com, during the years where I studied economics a the University of Cologne, Germany. I ran this company for over ten years, before selling it to United Internet. Since leaving Sedo in 2012, I’ve started multiple other companies, and invested in even more. Something surprising I’ve realized is that literally every good idea I’ve had for business has originated from needing to solve one of my own problems. For example, I came across the idea for my first company, Sedo.com, when we discovered we had unused domain names from other projects, but there was no marketplace to resell them. So as a solution, we created Sedo. Once Sedo was up and running we discovered another issue. The ads we were selling were constantly getting blocked. 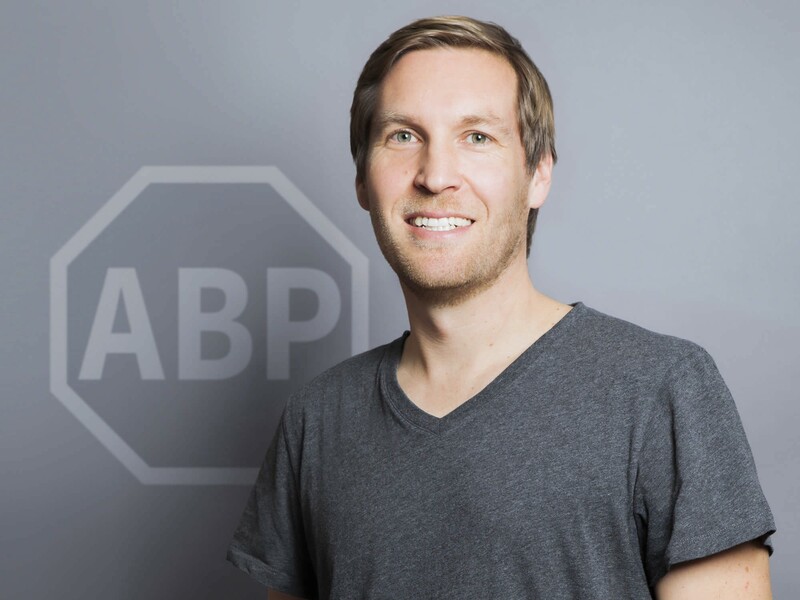 To discover a solution, I dived into the world of ad blocking, and ultimately ended up not only solving our problem, but creating the company behind the world’s biggest ad blocker. The idea for my latest company, SaaS.group, came about because we realized that many SaaS founders preferred to move on and continue producing new ideas rather than staying on to build companies to the next level. We stepped in to fill that gap and acquired companies like Juicer.io and DeployBot.com, which are housed under SaaS.group. One of our biggest challenges was when our little ad blocker company, AdblockPlus.org, was sued by six huge media companies at the same time. We had to fight four years, until this year when finally the German supreme court once and for all decided that it’s very much within the right of every user to use and ad blocker, and subsequently for us to offer that product to the public. This was a challenging time that created stress both personally and professionally, but our patience and persistence ultimately paid off! Leadership means trusting others, and giving others the opportunities to learn from mistakes and celebrate successes by their own virtue. My new company, SaaS.group, is probably taking this model to the extreme: we acquire existing SaaS companies, and then trust small and agile development teams completely with moving those projects forward. So essentially the people who drive our projects, are entrepreneurs themselves, but with the financial stability of a larger backing. So far, we have acquired two projects, the social media aggregator Juicer.ioand the deployment tool DeployBot.com, and both are working out really well with this new model. There are many people who helped along the way, one interview wouldn’t be enough! I’ll be honest, it wasn’t difficult. I started my first company Sedo as a student, which is the best time to start a company. As a student, you don’t need much money, so you can take very different risks, especially in Germany, where you don’t even have student debt. I was lucky in that things developed very naturally from my first business and I was able to build my personal and professional lives in tandem. I think there’s a misconception among many young founders that once you have employees to run your business, you’ll suddenly have more time for yourself. I’ve found the opposite is true: the more people you have, the more you’ll work. So yes, I have to constantly remind myself to say ‘no’ to new requests, and to learn to delegate well, while at the same time working more and more strategically opposed to operationally. These are skills that are really important for every young business manager to learn. I certainly struggled with this at times and that was a painful learning process. The quality of your work counts, not your quantity: Learn to be highly productive for fewer hours of work rather than mildly productive for a whole day. You’ll be much happier! Learn to say no: Saying no, to meeting requests, opportunities, advice, distractions, and time wasters, is even more important than getting stuff done. What comes around goes around: Somewhat counter to my last point, if you can help people, then do it. You’d be surprised how many requests only require a few simple tasks on your end but will leave a lasting impression on the other person. I like to think this will always come back to benefit you. Inbox zero makes you happy: I’ve developed a simple yet highly efficient email management process. I answer nearly all emails immediately, and hit “snooze” (move the email to a “follow up” folder) on the rest. This allows me to better keep track of and tackle them when I have time. All the rest go to archive, and any junk or clutter is immediately deleted. So I am pretty much always at “inbox zero” by the end of the day. Stay active and get some fresh air: I really don’t get why people take their car to the gym. Walk more, bike more. It’s not a waste of time, it’s a natural and free energy booster. Use it! Launching a new product or getting a deal done (for example acquiring a company, or getting a really great person to join one of my companies, etc). With Ecosia.org, I am already on it, and working hard to make my dream movement a success. What does Ecosia do? It’s very simple: it’s a search engine that works like Google, but we use all proceeds (it’s a non-profit company now) to plant trees all over the world. Trees are the easiest way to combat climate change, and so far, we have planted a whopping 45,000,000 of them…and counting!